Police are investigating a car explosion on Keren Hayesod Street. All indications point at criminal activity. 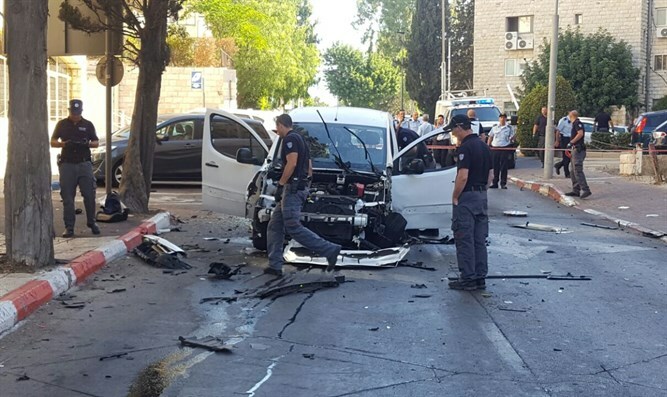 A car exploded around 8:30 a.m. Wednesday morning near Dan Panorama Hotel, on Keren Hayesod Street, in Jerusalem. Police report that an explosive device was attached to white Citroen Berlingo, probably with the intent of killing the driver. The device was detonated as the car turned from King David Street to Keren Hayesod Street. The driver himself, 58, was moderately injured, and has been rushed by MDA emergency personnel to Hadassah Ein Kerem Hospital. The hospital spokesperson said in a statement that the man is fully conscious and is suffering from wounds to his lower-body . Police confirm that they are investigating the circumstances of the explosion. As of now, they believe the act to be criminal, and not a terror attack.